Become an Eye Witness! New Eye Witness Glasses™ with patented holographic Star of David lenses transform any bright point of light into amazing inspirational images delighting people of all ages. Eye Witness Glasses are brilliantly printed in full color with easy to read directions. Great for youth group gatherings, Hanukkah festivities, holiday concerts, Bar and Bat Mitzvah parties, and plenty of other festive occasions. 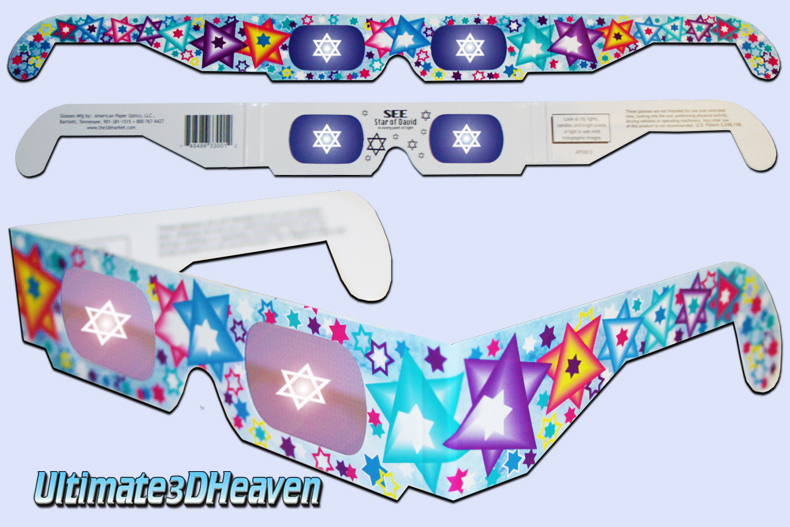 “Show and tell" your faith and witness to the masses with Eye Witness "Star of David" Glasses! Please click here to see our amazing full collection of HOLIDAY 3D Glasses Thanks!